The rhubarb de-weeding and re-location project moved forward significantly. We completely cleared one of the original two rows, putting rooted rhubarb plants in buckets of water and pots hopefully to survive re-planting. There is room for 3 more in the new row (which used to be the asparagus bed and lately used for sweet peas). 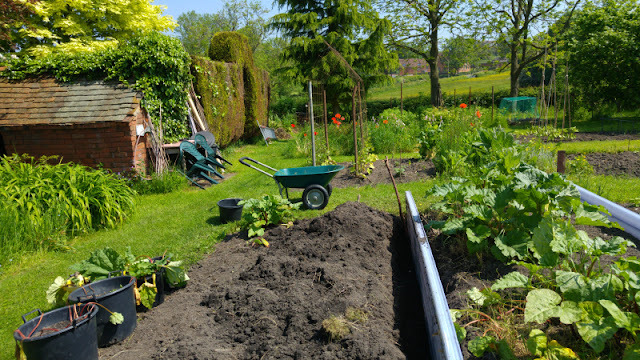 Now we have to clear the soil of weeds, especially the dreaded couch grass, add lots of compost and then we can plant back 6 good rhubarb roots in the middle row. We still have some plants in the top row which are producing good and tasty stems for rhubarb pie, crumble or just on its own. Clearinf the rhubarb patch - polycarbonate conservatory roof panels divide the clear soil from the still-infested. 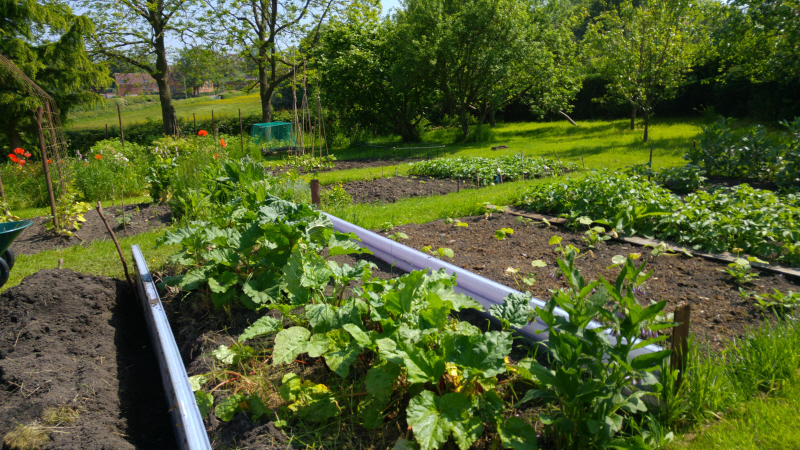 View across the veg beds - young marrows, squashes, potatoes and broad beans in the near bed.